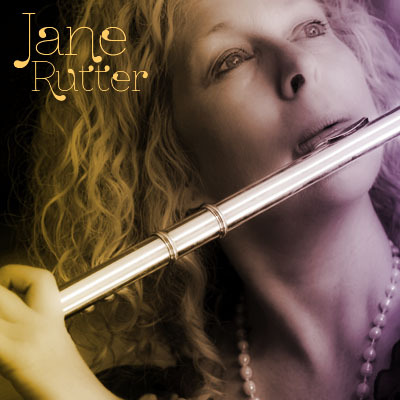 Classical free spirit & brilliant flautist Jane Rutter is an internationally acclaimed soloist renowned for her onstage warmth, technical brilliance, and inspired, dynamic performing skills. Jane studied on a French Government scholarship in Paris, with the legendary flautists Jean-Pierre Rampal and Alain Marion, after which she went on to lecture at the Sydney Conservatorium of Music, founded the Music Scheme, formed the innovative chamber group POSH, performed with the Seymour Group, the Australian Ensemble, and worked as a principal flute in the Elizabethan Trust Orchestra and toured with Musica Viva. A musician ‘sans frontiers’ (without boundaries), Jane is considered a world expert on French-style flute playing,and its affiliation with the Bel-canto voice. Following the French tradition, Jane’s classical career has been enhanced by her ability as a ‘cross-over artist’ (theatre, cabaret, world music, jazz, improvisation, cabaret film, TV and composition). Jane often receives standing ovations for her concerts and has performed with such prominent artists as Richard Bonynge, Pascale Roge, the Manhattan Transfer, David Helfgott, Slava Grigoryan, Michael Crawford, Simon Tedeschi and Christopher Hogwood. Described by ABC Classic FM as ‘One of Australia’s leading performance artists’, Jane has released 16 top selling solo albums. Jane received an award from the Australian Elizabethan Trust for her thesis on the French Flute School. The sound track album from An Australian in Paris (DVD), reached No.1 in the Australian classical charts and was nominated for an ARIA (Australian Grammy) award. Her latest album French Kiss also reached No.1 status. The ‘City of Light’ shines through in her flute — a voice which speaks straight to the heart of all who hear it. Jane Rutter is curator and Artistic Director of Live at Lunch, the Concourse, Chatswood. Jane Rutter uses the flute as a voice, a tool of magical communication. In this intimate concert, Jane plays solo silver, gold, wooden, bamboo, ebony flutes and Irish whistles. Baroque Fantasies, Indian Ragas, Contemporary Incantations, the programme includes a new work by the artist herself. Haunting, meditative works by Telemann, Debussy, Ross Edwards, and more. Prose by Shakespeare, Patrick White, Anaïs Nin.